Using a moisturiser on a regular basis can be the answer to achieving silky smooth skin. However knowing how often to apply moisturiser can be difficult, and it's all got to do with your skin type. I have very dry skin and I suffer with eczema, and so I need to moisturise everyday. 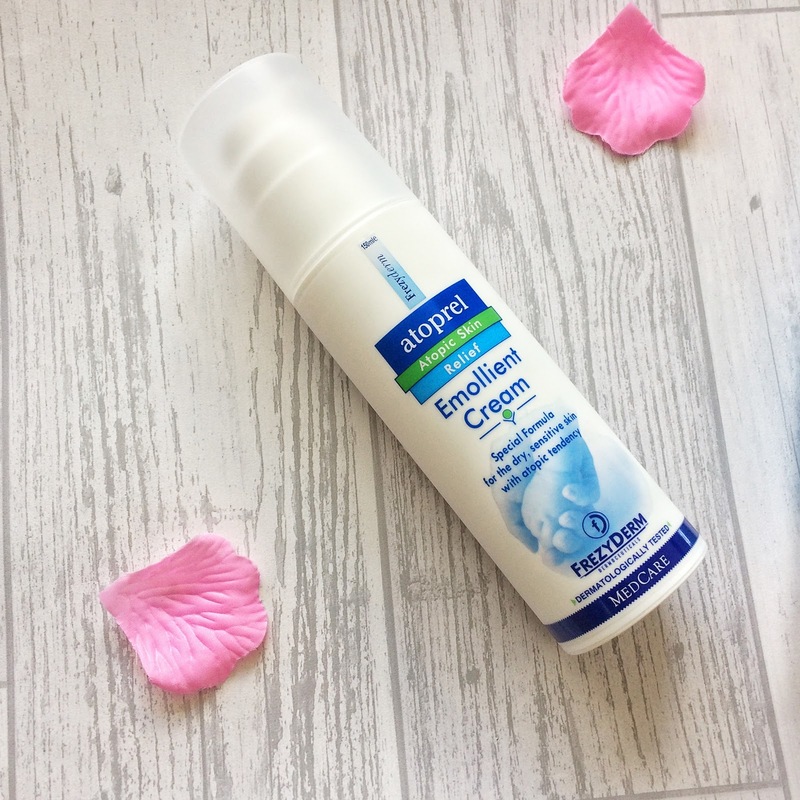 Quite recently I have been venturing into natural products as they have been great for everyday use, but now I need something that is a little more specific for my eczema, and I have become a little obsessed FREZYDERM. I was kindly sent over some Atoprel Emollient Cream for myself and some Infant Sun Care, Factor 50 for my daughter. Before we get into the specifics of each product, let's talk about the company. FREZYDERM is a Greek skincare company that is popular in Europe. Their skincare was initially marketed at dermatologists but is now available to the public. FREZYDERM aims to design and manufacture safe and effective, high quality, products that conform to strict pharmaceutical standards. The innovative and unique product range has been formulated to effectively treat all skin types and skin conditions, without irritation. This emollient cream is for the care of dry, sensitive atopic skin, that is prone to eczema and other skin conditions. FREZYDERM promises to hydrate your skin, strengthen the skin barrier and protects and reduces itching and irritation. Total all round winner for those for dry and sensitive skin. As an eczema sufferer my skin can become so dry and very irritable in an instant. I decided to apply some of the emollient cream on some dry itchy parts of my legs, sometimes they drive me crazy how much they itch. So much so, I can make them bleed. But thankfully, for these parts of my legs I have refrained from scratching and I was only too eager to apply the emollient cream. The formulation of the cream is thick , rich, and very nourishing, in comparison to some moisturisers I have used. I love how quickly this absorbs straight into the skin, leaving no residue and no oily feeling on the hands. There is a very faint aroma which comes from the cream included rather than a chemical fragrance. I cannot believe how much this has helped my skin, I am not just saying this but it's made a huge difference. I also wanted to talk about FREZYDERM Baby Sun Cream, which has been formulated to include safe and effective pharmaceutical materials that gently care for and nourish delicate infant skin. I was looking forward to trying this sunscreen lotion on my daughter as it promises to offer a high sun protection. I won't put anything that is less than factor 50 on my daughter, she has fair skin and would hate for her to get burned. So, a day at the beach and armed with our new FREZYDERM Baby Sun Cream we went to go and jump some waves. When we applied the sun cream we could see it creates a waterproof protective blue film, making it easier to get an even coverage. The formula is enriched with chamomile, protects against dehydration and irritation. I really like how quickly this absorbed into my daughter's skin and didn't leave any blue or white marks on her skin. With most sun screen they need to be reapplied regularly and we reapplied every twenty to thirty minutes. In a nutshell, the FREZYDERM products that we were sent for a review were great and did wonders for our skin. For me, the emollient has near enough got rid of my eczema on my legs and the sun cream for my daughter was really good. For my daughter I think she found it fascinating that her cream went on blue and disappeared, she most definitely enjoyed applying her sun cream that's for sure. 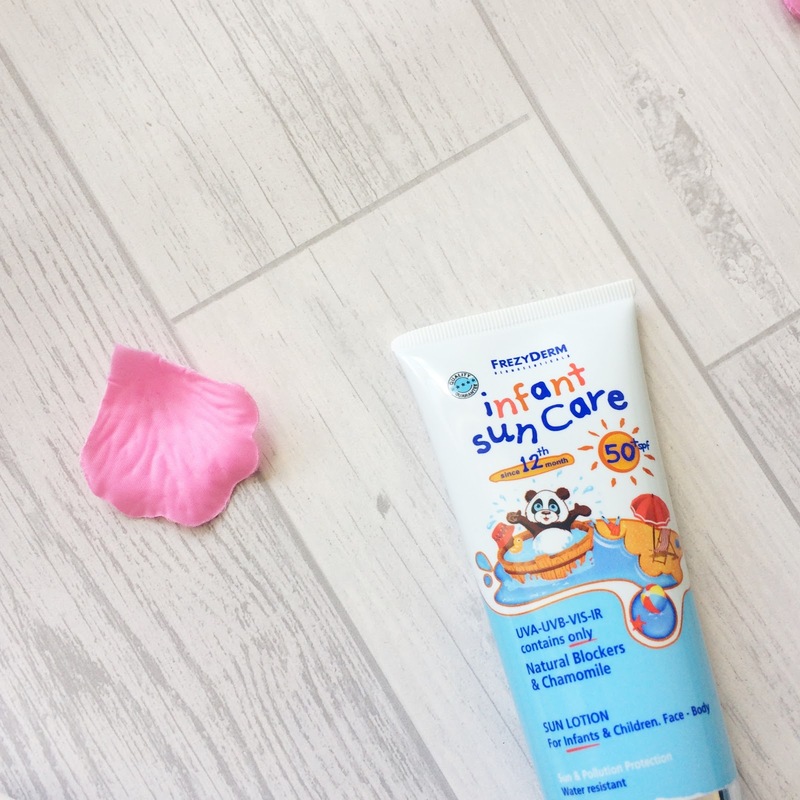 9 comments on "REVIEW | FREZYDERM SKINCARE"
I've not heard of these and the girls suffer with eczema so will def have a look! Glad you found these products so beneficial, will definitely take a look as we all have eczema! These sound great! I really should moisturise, especially my face, throughout the year because it gets absolutely horrible during Winter when those -25'C degree temperatures arrive. Really glad you found these useful. My boys suffer with little patches of eczema, I should maybe have a try. I have these too and the emollient has helped my skin loads! We haven't been able to use the sun cream much due to loads of overcast days but it smells lovely!